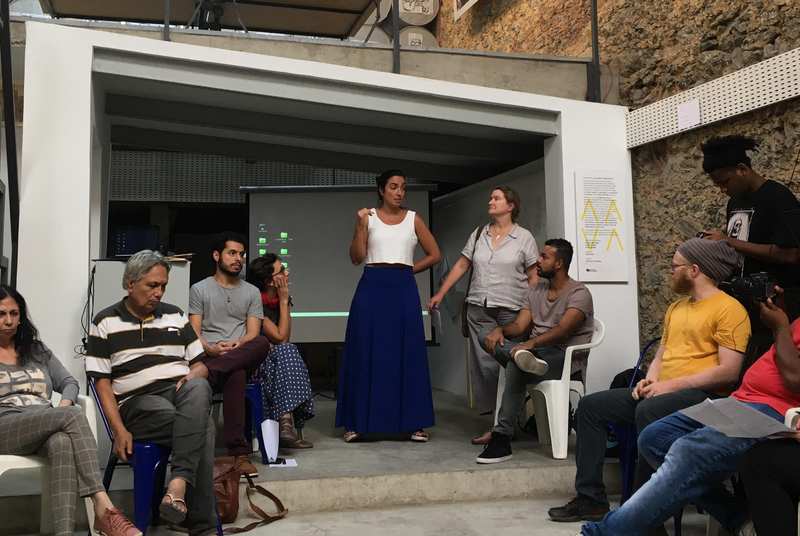 An Exchange of Method is a collaborative research project based around an exchange between arts organisations and artists in the cities of Rio de Janeiro and Edinburgh. The project is an opportunity to share and progress contemporary art practice or to enhance knowledge and advocacy in 'caring' environments. Starting in in October 2015 with a research visit to Rio, An Exchange of Method was developed through closed workshops and public events held in both Rio and Edinburgh. During November in Edinburgh Collective and Artlink hosted two closed workshops and a public event that brought different artists, writers and organisations to share and discuss ways of working in 'caring' environments. Contributors in both the Edinburgh and Rio events include; Kate Gray, Director of Collective; Alison Stirling, Artlink Edinburgh; Izabela Pucu, Director of Centro Municipal de Arte Hélio Oiticica; and Jefferson Vasconcelos, Norte Colom artists collective in Rio. Contributors to events in Edinburgh included: Jessica Gogan, Kirsten Lloyd, Wendy Jacob and Steve Hollingsworth. Ideas generated from this exchange will be developed over the next year. Constellations Programme is a series of off-site, research-based commissions that aim to bring people together to develop ideas and partnerships. This programme of commissions will include discussions, screenings, and walks, providing opportunities for artists and audiences to engage with our locality and consider new ways for people to work together.